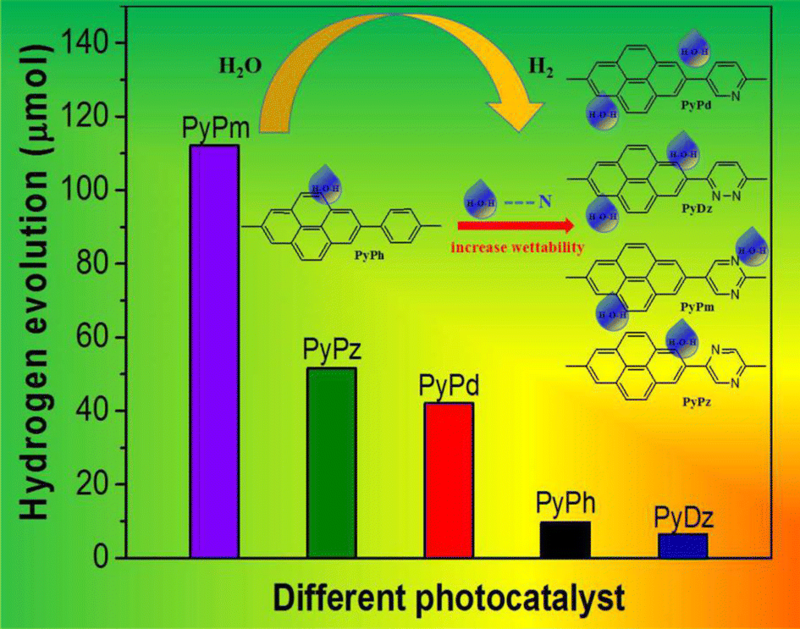 A series of linear conjugated polymers with different acceptor units has been synthesized and applied as photocatalysts for hydrogen evolution from water splitting. It was found that the introduction of nitrogen atom into the polymer skeleton could efficiently improve the photocatalytic performance due to the improvement in charge carriers’ transport and separation, and the enhanced interfacial wettability from the hydrogen-bonding interaction between nitrogen atom and water molecule. The replacement position of nitrogen atom also has a big influence on the photocatalytic performance due to the enhanced internal dipole orientation. A high hydrogen evolution rate of 18.7 µmol h−1 was achieved by PyPm with strong acceptor unit of pyrimidine. 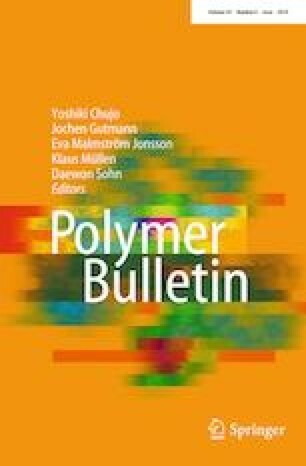 The results demonstrate that the construction of an electronic push–pull system is an efficient strategy to produce linear conjugated polymer photocatalysts with high photocatalytic performance. The online version of this article ( https://doi.org/10.1007/s00289-018-2535-3) contains supplementary material, which is available to authorized users. This work was supported by the National Natural Science Foundation of China (21574077 and 21304055) and the Fundamental Research Funds for the Central Universities (2016CBZ001 and GK201801001).